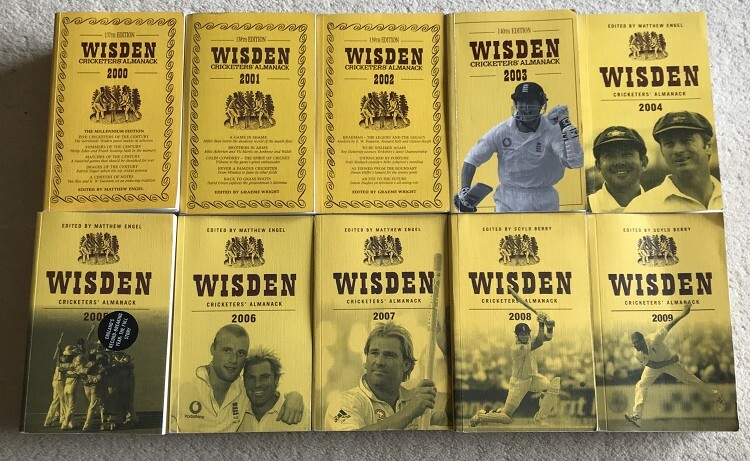 A set of 10 Wisdens, in a run from 2000 to 2009 all Linen softcovers. The books are in Very good condition, clean covers and nice white pages inside, a couple have an open feel but a heavy book will sort that. Overall a nice set and with UK P&P included it is a great price. More photos on request. Other sets of 2000-09 available on request. P&P to the UK is Free. Ask if Abroad.